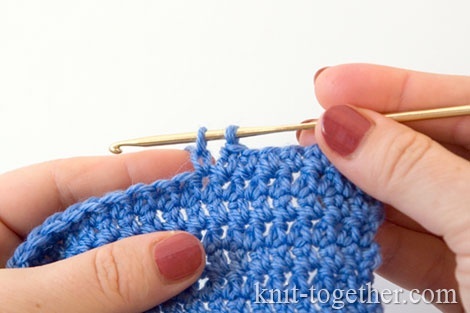 The extended crochet stitches is make similarly to the stitches with or without a yarn over, but inside the stitch need to make one chain stitch. The fabric of these stitches is denser than of the conventional stitches. 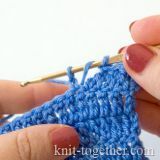 Make the right amount of chain stitches plus 2 turning chains. 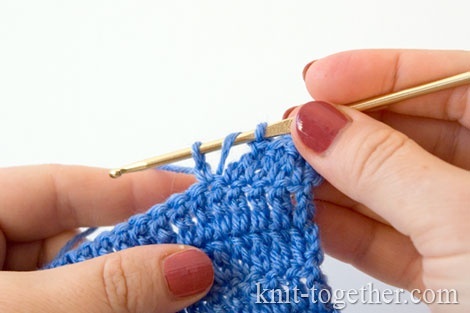 The first stitch make into the third off hook loop (the loop on the hook is not counted). 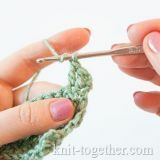 Insert your crochet hook under front and back loops, catch the working yarn and pull it through the work: now you have two loops on the hook. 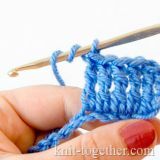 Make a chain stitch into first loop on the hook. And again on the hook should be two loops. Then again catch the working yarn and pull it through both of the loops on the hook. now you have only one loop on the your hook. We completed one extended single crochet stitch. Next, work in each loop of the row. 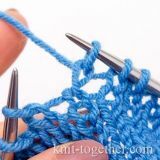 Make the right amount of chain stitches plus 3 turning chains. 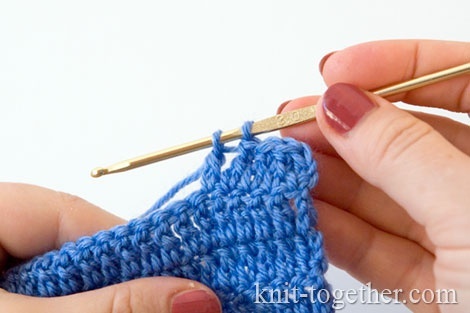 The first stitch make into fourth off hook loop (the loop on the hook is not counted). 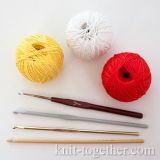 Wrap the yarn over your crochet hook. 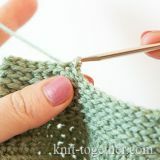 Insert your crochet hook into designated stitch (under front and back loops), catch the yarn and pull it through the work. Now there are three loops on the hook. 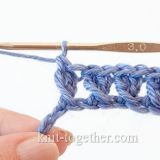 Make one chain stitch through first loop on the hook. Then again catch the working yarn and pull it through one loop and the yarn over on the hook. 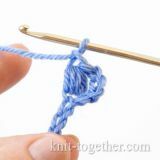 Now pull the working yarn through the remaining 2 loops on your hook. 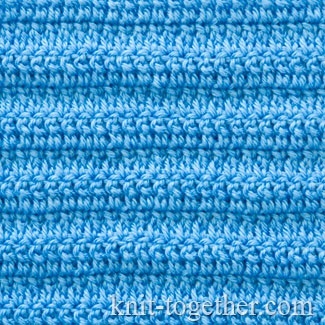 We got one extended double crochet stitch. 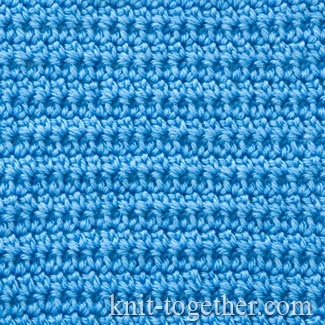 And here is how looks a fabric made of extended double crochet stitches.